Superchargers For Tesla is a comprehensive and dynamic database of Tesla Superchargers around the globe. It builds on top of SuperCharge.info, and adds several features including check-ins, photos, nearby points of interest, discussion forum and user comments for each Supercharger. It also includes support for Range Circles. With Range Circles you can easily predict your distance from multiple Superchargers to anywhere along your route. One goal of Superchargers For Tesla is to provide near-real-time status of each Supercharger. The app sources some of its information (such as check-in status) from its user-base, so its information potential grows with time. • Variable Range Circles: Range circles tell how far from each Supercharger you are. • Nearby Points of Interest: View nearby points of interest, including restaurants, shopping, entertainment, and nearby tourist attractions. • Latest Status: Recent check-ins have the option to display how many stalls are free/busy for each Supercharger. • Forums and User Comments: Follow along on Forum Discussions for new, upcoming and existing Superchargers. Drop comments and read comments from other users. • Photos: View rich photographs contributed by users. • Latest Supercharger Network Updates: View a summarized list of the very latest updates and changes to the Tesla Supercharger network across the globe. • Activity Alerts: Receive alerts and updates for Superchargers that you show recent interest in. Alerts include new user comments, photos, point-of-interest, and check-ins. With Superchargers For Tesla you can be up to date with the very latest Supercharger plans and deployments. 2. 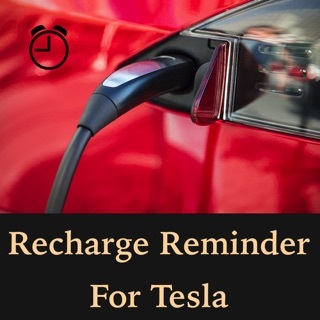 Superchargers For Tesla uses Apple Push Notifications for alerting, and requires that you enable Notifications for this app if you wish to receive live updates on Superchargers of interest to you. 3. Based on its increasing user-base and active notification system, over time it may be possible to get live status updates on Superchargers, including up-to-the-minute charging stall occupancy/availability data. Yesterday I was having many of the problems mentioned by other users and sent an email to the developers. This morning I installed iOS 12.0 and those problems disappeared. This afternoon the developers quickly responded with instructions on how to use the app and it now works as expected, smoothly without any obvious issues. Now you can use the range circles to plan the charging for a trip in advance without having to sit in your Tesla. The info in the details are great but this app isn't very useful if you wanted to map a trip with the range circle feature. If you accidentally tap a station there's no easy way to close it. Then the header is in the way. I would not plan a road trip with this app. The distance to superchargers are air distances. I tried one example and the distance circle has said I was in range. But, then I calculated the actual route I would have to take using imap. I would have had dead batteries about 20 miles from the supercharger. And of course it does not account for going over hills, which uses even more electricity.